Whitehall digger Ruth Downie is also a novelist. 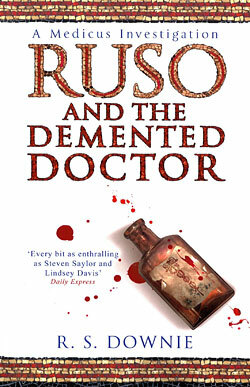 She has been commisisoned to write several novels featuring her character Ruso, an army doctor serving in Roman Britain. 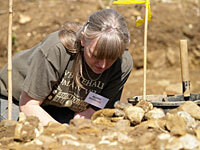 Several Whitehall dig people helped Ruth by offering specialist knowledge and reading early drafts. A doctor's life is never easy. Particularly when the breakthroughs of medical science lie centuries in the future and desperate personal circumstance has driven you to a distant, damp and depressing outpost of the Empire. And for Gaius Petreius Ruso, medicus to the Twentieth Legion in Chester, things are about to get downright impossible. For one thing, rescuing injured slave girls is never a wise idea, no matter how attractive their eyes might be. For another, sharing a house with a lazy colleague who's far too handsome for his own good is never going to be peaceful. And finally, getting dragged into a situation that suggests a serial killer might be stalking your local bar is only ever going to end badly. 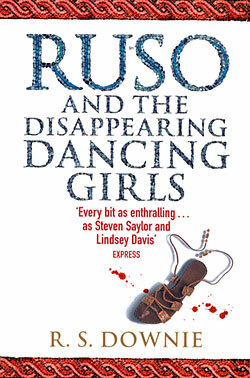 With wonderful comic timing and an irresistible sense of humour, Medicus and the Disappearing Dancing Girls is the first novel in the Medicus series and introduces, in Ruso and Tilla, the hottest double act to come out of the Roman Empire since Antony and Cleopatra. Published in the USA as "Medicus"
Published in the USA as "Terra Incognita"
© Copyright of this web site, including all text and images (except where otherwise stated), belongs to The Whitehall Farm Roman Villa and Landscape Project. No part of this website may be reproduced in any form without the prior permission of the Project.